Before converting a bunch of music files from one audio format to another, there are a bunch of things to consider. Depending on what you’re going to do with the files, the source format, free space requirements and similar considerations, choosing one format or another can become tricky. In this article, we’ll shed light on things you need to know before converting audio formats. First thing first: what’s the purpose of the conversion? Are you converting the files just because you want to have your entire music library in a single format, or because your audio player does not play anything but a certain audio format? Depending on the reason for the conversion, you may want choose completely different target formats. The choice of lossless vs. lossy, selection of codec, bitrate and format depends almost entirely on the purpose of the conversion. If you need a tool to convert files between a wide range of lossy and lossless formats, try AudioConverter Studio. If you’re about to listen to the music in a car, you’ll most probably be limited with a choice of one or two audio formats. 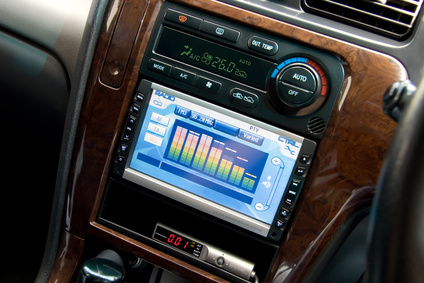 Up until recently, most cars had ancient audio systems that could only read the equally ancient Audio CDs. Recent models can still only read CDs, but at least they learned to recognize MP3 and, sometimes, WMA files. These would be your safe choice, with constant bitrate (CBR) and average compression. Keep in mind that, unless your car’s audio system can read DVDs or has a USB port, you may only have some 650 MB available on that CD-R.
Portable audio players are pretty advanced. Typically, they can read a wide range of audio formats from MP3 to AAC, OGG, WMA, and ALAC. Choose target audio format depending on your hardware. How good is the player in terms of audio quality? 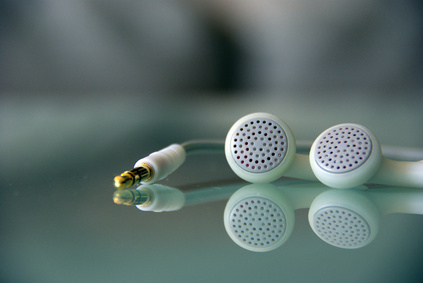 How good are your headphones? If they are more cheap than good, you might be better off with a more conservative bitrate as higher bitrates will produce much larger files without much of a difference when played back on your actual player. For really good players accompanied with really nice headphones, choose one of the higher end formats with reasonably high bitrates (the bitrate should depend on the quality of source audio files). However, you may not need or want to convert between audio formats if your source files are already compressed. Your choice will also depend on the source format of your audio files. If the source is lossless, such as FLAC or Audio CD, you can convert it into another lossless format without losing audio quality. You can also compress lossless formats into something lossy, such as MP3, AAC or OGG, without losing too much quality (for example, FLAC to MP3). However, if the source files use lossy compression, you may not want to convert them to another format at all. By converting from one lossy format into another, you’ll be introducing even more artifacts, making the resulting files sound worse than the original ones. If your audio player can accept the original audio format, consider keeping the files as they are. If, however, you’re forced to convert from one lossy format into another, try keeping things as close to source as possible. Select exactly the same sample rate (e.g. 44K). Try using constant bitrate (CBR), selecting bitrate that offers similar audio quality to one of the source file (note: numeric values of bitrates providing similar levels of audio quality vary between formats. More on choosing the correct bitrate later.) When converting from variable bitrate (VBR), choose constant bitrate matching the quality of the highest bitrate of a VBR file. And remember, AudioConverter Studio is always there when you need a tool to convert files between a wide range of lossy and lossless formats. Also, have a look at Free M4a to MP3 Converter. To be continued: lossy vs. lossless, bitrate selection, CBR vs. VBR, codecs and psychoacoustic models reviewed.